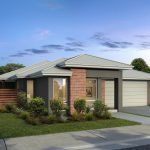 This stylish package created by Ideal Building Solutions Pty Limited is targeted to those wanting a family home on a great sized block and will be completed and ready to start building on during the second half of 2019 at this stage scheduled to be around August. Featuring double glazed windows, all floor coverings, custom joinery to kitchen, laundry, and vanities, blinds, well insulated with R 5.0 to ceilings including garage ceiling and R 2.0 to all external walls and internal walls of garage, quality SMEG appliances including dishwasher and induction cooktop, 5.5 KW solar PV system, Siebel Eltron 300 litre heat pump for hot water, choice of two stylish front facades, and so much more – see inclusions list attached for further details. 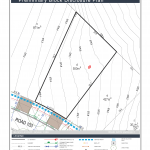 54 Fairbrother Street is in section 1C of the Strathnairn Development and will be located among other quality homes on larger blocks in a quiet street and close to parks and the proposed first Neighbourhood Park. Welcome to Strathnairn in Ginninderry Canberra’s newest most exciting new community. 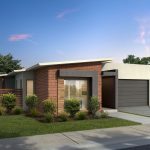 Located just a few minutes’ drive from all that the established area of Belconnen has on offer. Strathnairn offers a chance to build a new and rewarding life within a stunning location and vibrant community. Strathnairn is just the first suburb to be developed in Ginninderry and is close to existing schools, shops and community facilities including sporting clubs, recreation areas and employment centres. Ginninderry has been planned as a sustainable community, the desire to see greater sustainability “built in” to homes, focusing on energy and water efficiency, with all houses to have solar PV panels, Heat pump or Solar hot water and induction cooktops. Building on acreage we struggled to find a builder willing do something beyond the standard suburban house. Also, as this was our long planned dream home we had a significant list of must-haves that made finding the right builder even harder. That was until we found Paul and Michele from Ideal Building Solutions Pty Limited. Throughout the plan and design phase working with Michele and Paul and the Ideal Building Solutions Team has been outstanding. Always willing to listen to our ideas, they were also always able to provide helpful suggestions and advice, obviously based on their years of experience on what works best in our local environment. In addition, their communications with us throughout the process cannot be faulted. All questions or concerns we raised were always promptly and courteously answered and they were always open to alternative options with design and products to ensure we ended up with a home design that not only met but exceeded all our requirements. Having recently completed the build of our new home in Googong we could not be happier with both the quality of work and the level of service provided by Ideal Build Solutions (IBS) Canberra region. Throughout the entire process Paul and Michele have been extremely knowledgeable and exceptionally accommodative to all of our wishes in incorporating extras into our build. Examples range from organising the purchase, install and connection of solar panels and home alarm system through to additional electrical, concreting and landscaping specifications to help us put our personal mark on the home. Having purchased an IBS house and land package and experienced firsthand the level of commitment and attention to detail that Paul and Michele consistently apply to their work, we highly recommend considering Ideal Building Solutions Canberra for your next build. Thanks Paul and Michele for providing such a positive experience for us. We purchased a completed Ideal Building Solutions Pty Limited home in Forde earlier this year and wouldn't have changed anything if we had designed it ourselves. The house (The Brighton) has been thoughtfully planned and is spacious and functional. For someone who loves to cook, the kitchen is brilliant as it has so much bench space, quality appliances and the huge walk in pantry is a hit with me! Our family couldn't be happier with our new home.